Every day we can see how the number of ordinary objects connected to the Internet are increasing and are more presents in our lives. A few years ago it seemed abstract, but now this idea has materialized into issues such as connected car or smart cities; and applications like smart meters or cattle monitoring. All these cases and others are examples of the so-called Internet of Things (IoT). Connectivity is one of the main challenges for IoT devices. Sometimes it is not possible to use a wired connection, so we have different wireless alternatives that have specific features adapted to different use cases. However, many of these technologies have not been specifically designed for IoT applications and they may present disadvantages in scenarios they have not been designed for. 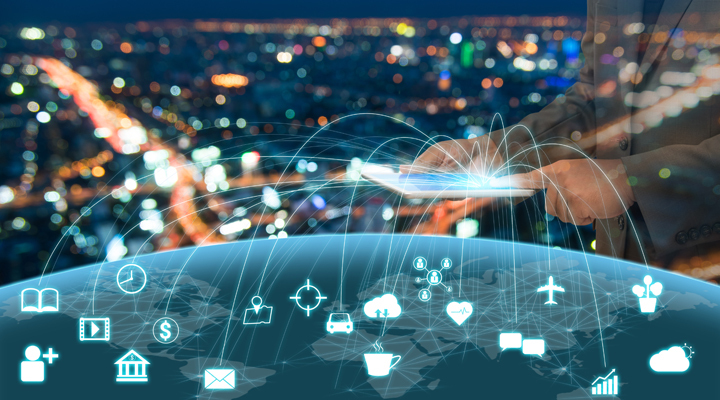 Narrowband-IoT (NB-IoT) is a technology that allows us to connect devices we use everyday to the Internet, devices that require small amounts of data to be sent very infrequently, like a few times a day. This technology uses 4G mobile networks as infrastructure (more energy efficient compared to WPAN technologies) allowing batteries to last up to 10 years, according to message sending frequency. At the expense of this consumption reduction, the binary rates offered are 63 Kb/s. All these features make this technology the best choice for tracking assets in sectors such as transport and industry or environmental monitoring or applications like smart meters. WPAN (Wireless Personal Area Network) technologies, such as WiFi or Bluetooth, have been used (and continue to be used) to provide connectivity to IoT devices with a high level of implementation. However, these technologies have limitations in some scenarios with respect to their range (only a few tens of meters); or their consumption, sometimes too high to allow long battery life in cases where there is no possibility to use wired power. The use of ISM bands (Industrial, Scientific and Medical) of the radio spectrum (such as WiFi, Bluetooh…) is another of its disadvantages because it requires them to share this resource with other technologies and devices. In order to counteract the disadvantages of these technologies, LPWA (Low Power Wide Area) networks such as Sigfox or LoRa emerge. These technologies offer ranges of several kilometers and reduced consumption, while providing very limited binary rates. Because they use free radio frequency bands like WPAN technologies, they are susceptible to interference that can severely affect their performance. NB-IoT fits into this second group. This technology uses licensed spectrum bands, so there is no interference with other technologies and the robustness of communications is bigger and does not depend on the number of devices in close proximity. In addition, many of the frequency bands reserved for NB-IoT are in the range of 700 and 800 MHz, which facilitates penetration into buildings and basements. In this way the technology can operate in a larger number of scenarios than WPA and LPWA networks. Another technology with low consumption orientation based on mobile telephony networks is LTE Cat M1. Similar to NB-IoT, LTE Cat M1 offers a significantly lower power consumption as compared to NB-IoT although higher than NB-IoT, but higher transmission speeds (up to 375 kb/s). Why should you choose NB-IoT? NB-IoT has been developed to allow efficient communications and high battery durability in mass-distributed devices. In order to provide coverage with this technology it is necessary to update the current 4G base stations, but it is not necessary to perform new installations because it takes advantage of the almost ubiquitous coverage of mobile networks. Operators have already started their activations in several EU countries, including Spain, where Vodafone is a pioneer. One of the main advantages of this technology is to beit is supported by a global ecosystem of hundreds of members ranging from mobile operators to chipset manufacturers, which allows interoperability between different market players and a scale production of these solutions. This is because this technology is standardized. For this reason it is specially designed for the connectivity of smart cities, agriculture and cattle 4.0, smart buildings and houses, eHealth area or for industry and logistics. The 3GPP (3rd Partnership Project) -thean organization that standardizes cellular communications worldwide- published in 2016 the specifications of the LTE-M and NB-IoT protocols. This organization has continued to advance this technology with improvements in binary rates and consumption and adding features such as more precise positioning and multicast. In addition, NB-IoT is expected to be included in the 5G specifications as a protocol for mMTC (massive Machine Type Communications) communications because it complies with much of the requirements imposed for 5G for this type of application. Gradiant is currently working on the NANOeaters project to develop an NB-IoT connectivity solution for a gas monitoring system. This project is developed together with INL (International Iberian Nanotechnology Laboratory) and the University of Vigo. From Gradiant we bring our experience in design and prototyping hardware, IoT and cellular communications systems. Authors: Luis Pérez Roca, co-director of Advanced Communications and Alexandre Tornero Viñas, research – developer in Advanced Communications department at Gradiant .